Allen Stichler is an artist based in North Lincolnshire, specialising in unique hand-carved wood sculptures. Working closely with the client, Allen will develop an original design to agreed specifications ; from initial discussions through to sample sketches, and on to the final design and carving of a personal and individual sculpture to treasure. 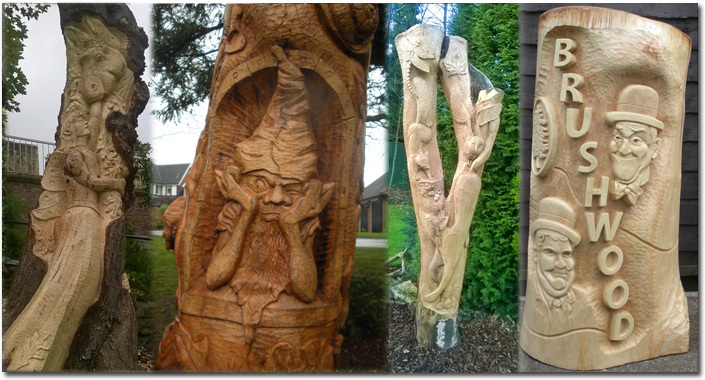 Sculptures can either be carved on a tree or stump already within your garden, or wood of most dimensions can be supplied. 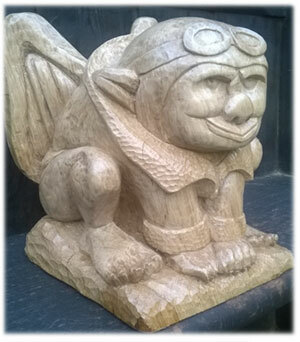 Smaller carvings to enjoy indoors are also an option, either on modest-sized logs, blocks or panels/plaques. This is an opportunity to commission an individual piece of art to your own design, either to own or to give as an unusual gift. As an artist Allen is inspired by our folklore, customs and traditions, as well as the natural world around us ; these elements are explored in various carvings, but also in paintings and lino-cuts. As well as commissioned work, Allen is available (and insured) for carving workshops and community art projects or events. 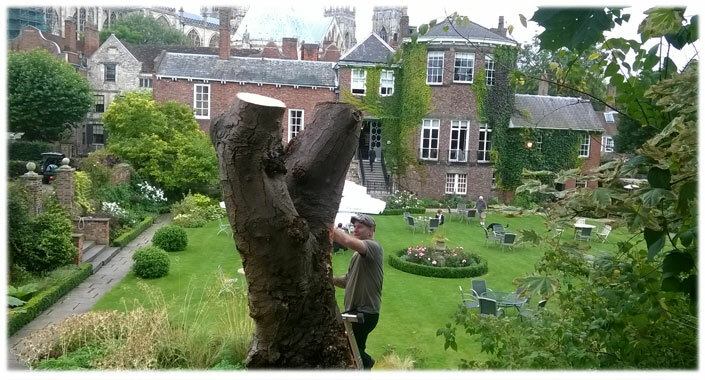 A selection of our recent work can be found by visiting our Gallery pages.